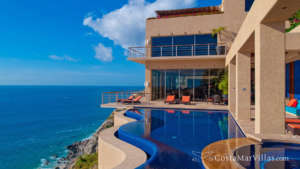 EnjoyMexico.Net is your home for exclusive deals on luxury beachfront villas in one of the world’s hottest travel destinations, Cabo San Lucas. 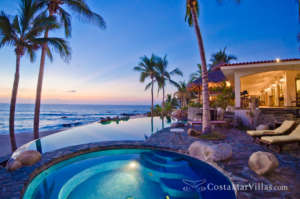 We are more than just a vacation rental company; we provide unforgettable travel experiences you can’t experience anywhere else. 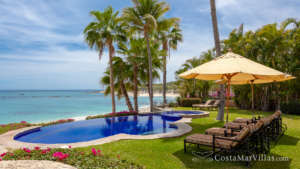 With our handpicked catalog of luxury beachfront villas, you are mere minutes away from booking your private retreat in paradise at an incredible price. 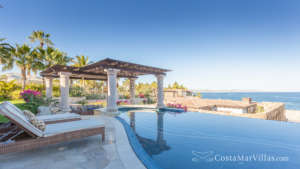 Imagine sipping your morning coffee on your private white-sand beach, feeling the adrenaline racing through your veins as you wrestle a 100-pound Yellowfin from the sea in the afternoon, and dancing the night away in Baja’s hottest nightclubs. 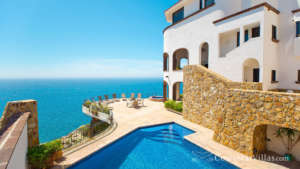 Booking through EnjoyMexico.net ensures you get the most exclusive deals and world-class service. 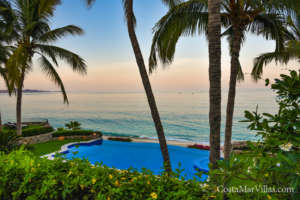 Whether you are after fine dining, world-renowned golf, and unrivaled sport fishing, or just want to relax and let your cares melt away, EnjoyMexico.net can have your entire vacation planned and booked in a matter of days. 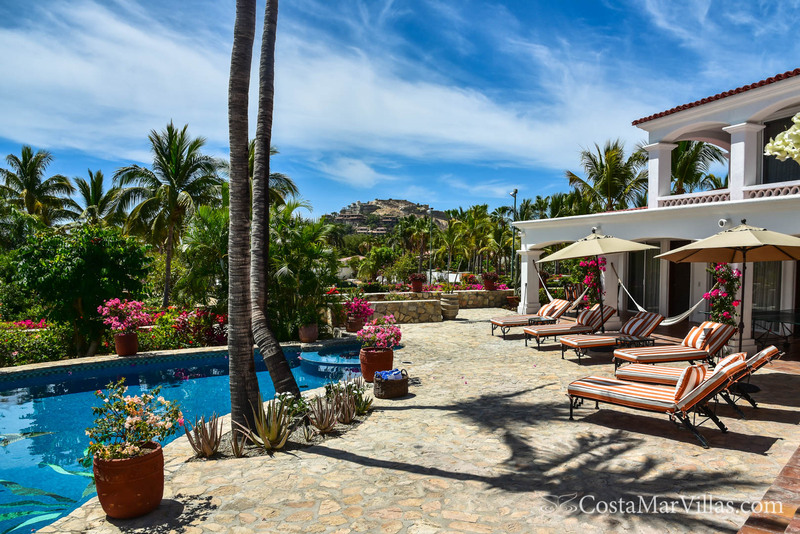 As the official travel partner of Costa Mar Villas, we specialize in creating a completely different Cabo San Lucas experience for our guests. 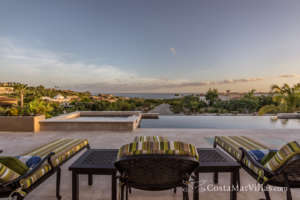 With our extensive portfolio of elegant, privately-owned villas, we put you in control of your dream vacation. No crowds, no one-size-fits-all packages, and no sharing with anyone except your closest friends and family. Our trained staff are expert vacation planners. Their ties to the local area are as deep as their dedication to each customer. 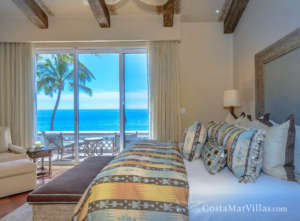 You can enjoy a private retreat in paradise with all of the comforts of home for prices comparable to all-inclusive resorts. 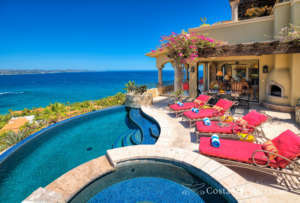 We do vacations in Cabo San Lucas differently from the rest. 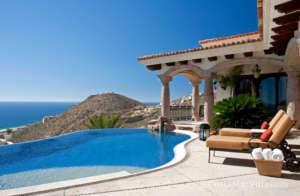 From your beachfront villa to heart-pumping desert excursions, EnjoyMexico.net arranges your entire trip in a matter of days. Our impeccable customer service is delivered by our dedicated team of vacation professionals. 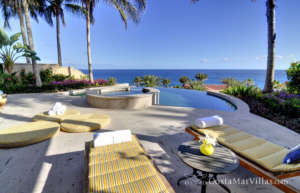 As experts in their craft, they have booked thousands of private retreats in paradise. They know that deep down, you are looking for one thing: privacy. We all know how stressful modern life can be back home. With us, you never have to worry about a thing…except how to get the next glass of wine from the fridge. 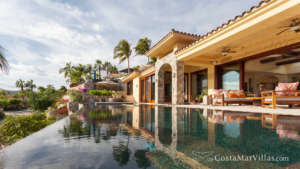 Our portfolio of private villas comes straight from world-class ownership groups. 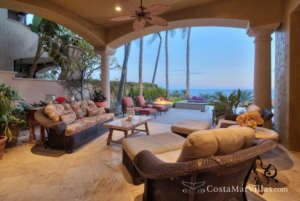 Individually owned and maintained, each villa comes complete with all of the comforts of home. From opulent and elegant mini-mansions to eco-friendly bungalows designed by world famous architects, each one is an experience in itself. 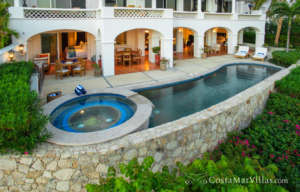 Beachfront properties, private swimming pools, jacuzzis and more await. And all in the privacy of your own villa. Which all-inclusive resort comes with a private in-home theater or gym? Our villas are designed with flexibility and maximum comfort in mind. You can enjoy as little or as much pampering as you desire. Do you prefer breakfast in bed as you take in the vista from your sea view windows or do you prefer to be your own chef and serve up breakfast from your handcrafted breakfast bar? The choice is yours. 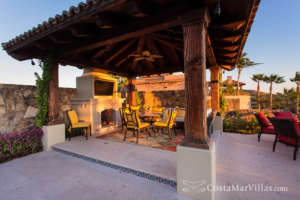 Relax by your private firepit and grill your own BBQ or relax as a private chef cooks you 5-star Mexican favorites. Anything is possible. 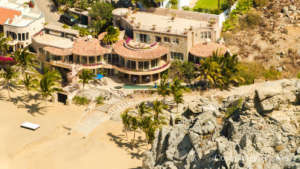 The locals of Cabo don’t spend their days trapped in a resort. 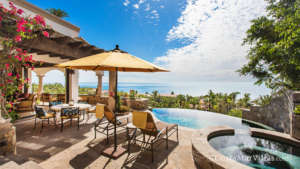 They are basking in the sun on the beaches of the Sea of Cortez, riding camels through their famed desert, chasing thrills in the Sierra de la Laguna Mountains, and dancing until the break of dawn in clubs that never sleep. There’s only one way to experience Cabo: like a local. 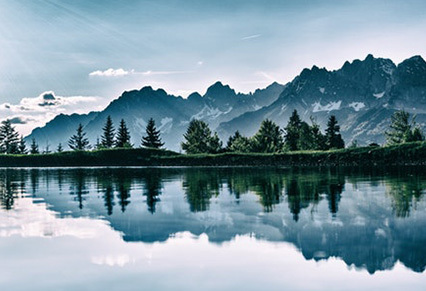 As a full-service travel agency, we bring you real, authentic experiences you can’t get anywhere else. Our 24/7 concierge team will be your private guide in the land of enchantment. 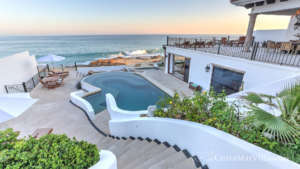 From the mega stars of a bygone Hollywood era to today’s A-list celebrities and beyond, there has always been something that has drawn people to the southern tip of Baja. 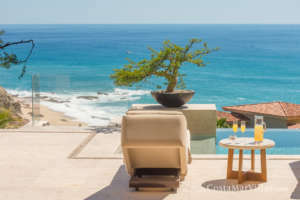 Cabo and its famed beaches and friendly climate are one of the world’s hottest destinations for private jets, luxury cruises, and they’re a literal who’s who of entertainment, fashion, and business. But it’s so much more than that. 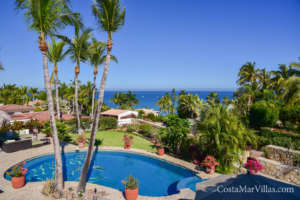 Newlyweds, families, and even young couples in search of thrills flock here year round to experience the magic of the Sea of Cortez. It’s more than the beauty of the sea and the warmth of the locals, though. 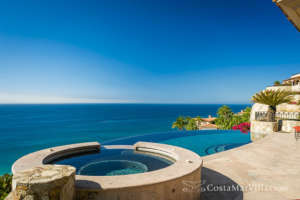 It’s the enchantment of stark contrast that beckons millions to Cabo each year. White-sand beaches, fecund waters, sheer mountain peaks, and a desolate desert—all in just a day’s ride. Imagine swimming with dolphins, descending into an ancient canyon, riding a camel, and getting in 9 holes at a famed golf course in just one weekend. And we haven’t even touched the surface yet. 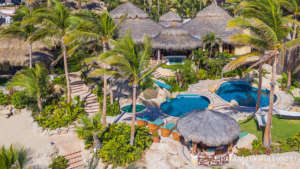 By day, Cabo San Lucas is a family-friendly resort city complete with entertainment, fine dining, world-famous beaches, and plenty of crystal clear waves. But at night, the city comes alive. 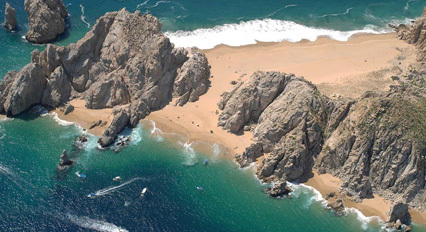 They don’t call it Cabo San Loco for nothing. Follow in the footsteps of John Wayne, Desi Arnaz, Bing Crosby and more, and make your way to this famed paradise mere hours away from America’s major airports. 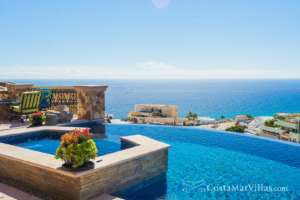 Cabo boasts attractions that few cities can rival. 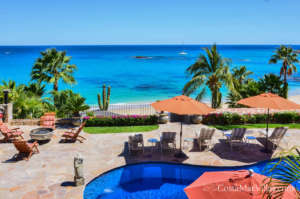 Flawless Beaches: From stretches of golden sand facing the Pacific to party beaches that serve as ground-zero for spring breakers, Cabo sports dozens of flawless beaches. Surfing, sailing, and of course, relaxing in the sun will be the only thing on your to-do list today. 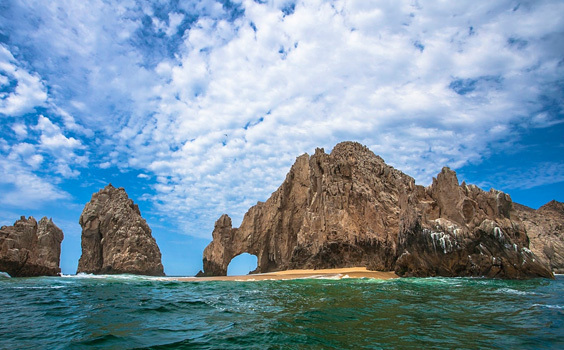 Tequila Cove, Lover’s Beach, Twin Dolphin Beach—these names speak for themselves. 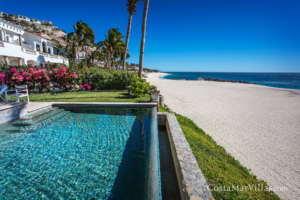 With beachfront access from your private villa, you won’t have to go far to get the best that Cabo has to offer. 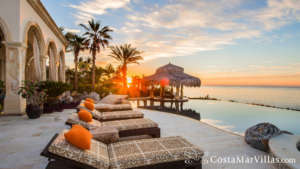 Fine-Dining: The tourist corridor connecting Cabo San Lucas to San Jose Del Cabo is dotted by 5-star dining establishments that attract celebrities from around the world. Fine wine, impeccable service, windswept views—you can’t ask for anything more. Asian fusion for lunch, local delicacies for dinner, and tapas as a late-night snack. You’ll have no problem dining in the lap of ultra-luxury. Adrenaline-Pumping Action: They don’t call Cabo “Marlin Alley” for no reason. 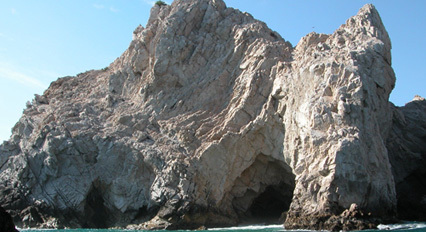 As a haven for sport fishermen from around the world, Cabo is a destination for thrill seekers from all walks of life. Big game fishing, desert off-roading on the back of an ATV, rappelling down a jagged mountain peak, and snorkeling with dolphins are all in a day’s work. If you’re looking for more than just relaxation, there’s a never-ending list of ways to get your kicks in Cabo. A Party that Never Ends: Cabo San Lucas (or as local partygoers say, Cabo San Loco) is home to infamous uninhibited nightlife. Rowdy, boisterous, and overly spirited, the clubs of this town have something for everyone. If you’re looking for somewhere to let loose all of the stresses of life back home. hip dance clubs, rowdy rock bars, beachfront cantinas, and of course, Sammy Hagar’s (of Van Halen) music club will keep you going until your legs can’t go anymore. 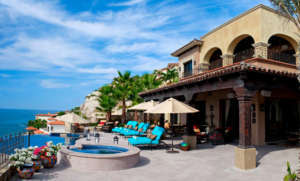 Fun for the Whole Family: Cabo is more than a haven for beachgoers and partiers. It’s great for couples and families too. Whether you want to have a private party at your villa or take the gang on a cruise, there’s something for everyone. Kayaking, snorkeling, zip lining and more await adventurous kids. That’ll tire em’ out! Are you ready to go camel riding, hit the waves, and hit a few golf balls in the same weekend? We hope so. 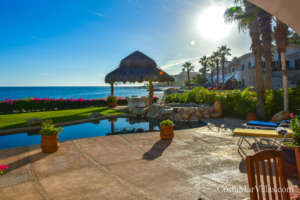 Our experts have put together a few of the top attractions in Cabo to give you a picture of what’s in store for you. El Arco, or “Land’s End,” is a sight to behold. Millions of tourists have flocked to this natural rock formation to take in the intricate natural beauty. The natives saw it as a window to infinity. It was the literal end of the world they knew. The limestone arch has been carved by wind, water, and time itself, and now serves as Cabo’s main natural tourist attraction. Enjoy the waters, go snorkeling, or simply stand in awe and behold the edge of the Earth. Imagine if the former frontman of one of the world’s most revolutionary rock bands opened a bar for rockers from around the world. Now imagine that some of the most famous acts in music joined his dream and rock out until the break of dawn to crowds of hundreds of rowdy concert-goers every night. In Cabo, that’s a reality. 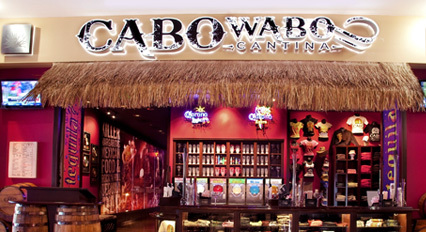 At Sammy Hagar’s Cabo Wabo, every night is Saturday night. 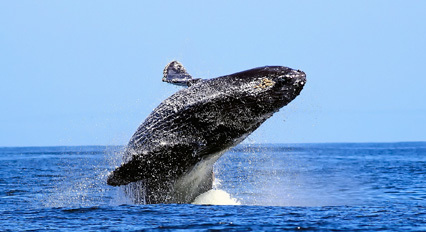 The Sea of Cortez is home to the annual gray whale migration. Hold your breath as you scan the horizon for these majestic creatures, and be prepared to have it taken it away. Charters headed by experienced captains can take you to the richest waters and help you have the experience of a lifetime. Be sure to have your phone ready to capture a video of these ancient creatures! 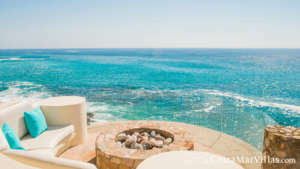 Perhaps Cabo’s most fabled beach, Lover’s Beach is a secluded hot spot for romance for couples from around the world. Accessible only by water taxi (pangas), here you can stretch out, sunbathe, and spend quality time with the one you love…or maybe meet the one you were meant to be with. Protected by UNESCO, the Boca de la Sierra is a hotspot for exhilarating outdoor adventures. 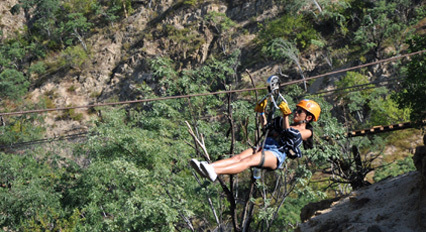 The adrenaline-pumping zipline against the backdrop of some of Mexico’s most impressive scenery is worth the trip south of the border alone. Climb the famous Crazy Ladder, hang from suspension bridges, and grab on to the wild Tarzan Swing. Make sure to bring your screaming voice for the day. 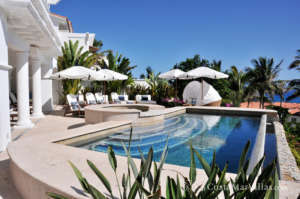 As your Cabo San Lucas concierge, the dedicated team at EnjoyMexico.net can arrange any activity you desire. You can even speak with one of our experts to get personalized recommendations. We are only a phone call away. Whatever you decide to do, be ready for the time of your life. 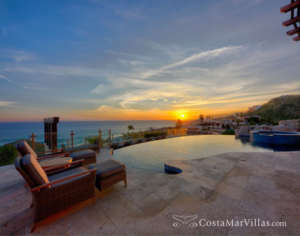 Our villas are whatever you want them to be: beachfront party, private spa, the perfect venue for a family reunion. Personally, we love them all. But there are a few standouts that our clients book months in advance. Availability is severely limited, so please check your dates. If one is open, there is no time to wait. 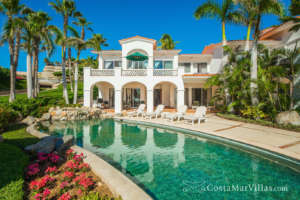 This elegantly-themed estate on the beach truly lives up to its name. 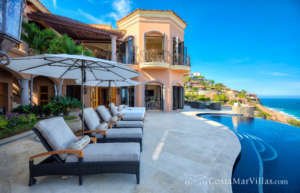 Casa Bonita is complete with sweeping ocean views, an opulent classic European interior, and resort-worthy exterior amenities. By day, relax in one of the 4 suite-style bedrooms. 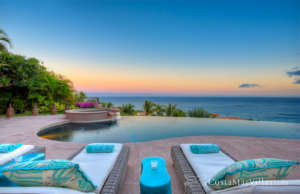 At night, relax by the infinity pool and lay by the fire. 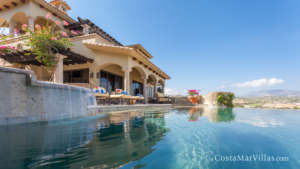 The swim-up bar and Jacuzzi put the finishing touch on this Tuscan wonder. This multi-level stone house mimics a lost era in Mexican architecture. The open-air, down-to-Earth layout obscures the hidden pool area. Perfect for a relaxing evening away from all of the cares in the world. 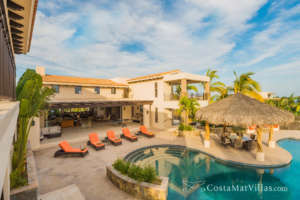 The 5 ½ bedroom casa sleeps 10 easily, but it’s best for two. When a villa is named very beautiful, people take notice. 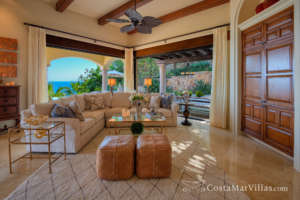 Situated on a secluded beachfront and complete with breathtaking views, Villa Bellissima is in an elite private community. 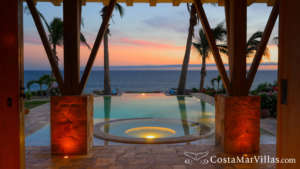 This blend of modern convenience and the warmth of Baja makes for a sojourn that you’ll remember for a lifetime. Style and grace adorn this 8-bedroom mansion. 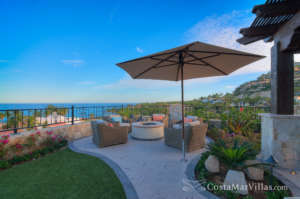 Relax in your home theater, cook a meal in the fully equipped kitchen, and entertain guests on your luxury terrace. Bellissima is perfect for entertaining a party or relaxing in privacy. 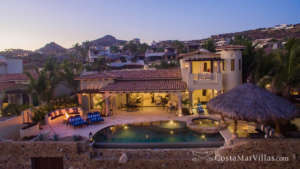 private villa in Cabo San Lucas.